Bremen has been founded by the Patricians (influential merchant families) due to its convenient location close to the North Sea and has flourished ever since. 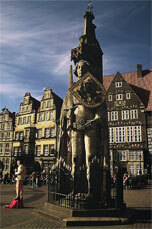 The City of Bremen is a Hanseatic city in the northwestern Germany and also one of the 16 federal states of Germany. 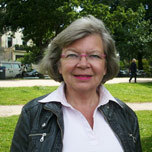 Please Note LatLon: Denise Faessel is a guide who works independently from LatLon-Europe. 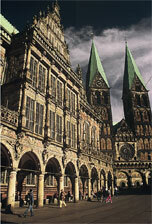 Please contact her directly to book your guided tour of Bremen. We wish you a great vacation! 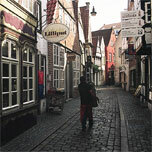 Following we will walk through the old and narrow district of Schnoor, an old fishermen district close to the river Weser, with a lot of art galleries, shops and restaurants. I suggest you to visit the harbor of Bremerhaven situated 60 km northwest from Bremen: the submarine, the museum of the emigration. 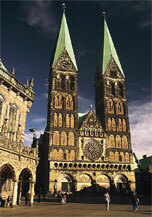 Other interesting and historical hanseatic cities like Hamburg, the second most important city in Germany, Lübeck, the capital of the Hanseatic League, Lüneburg, Rostock, Wismar, Stralsund but also Schwerin, the North and the Baltic coasts, the castles, the lakes, the unspoiled nature in the north of Germany are worth to visit.